In 1991 Anthony went for a flip in a Microlight Trike and he was hooked and started lessons almost immediately and in the same year got his licence. During a visit to Rhinopark Airfield he saw a Gyrocopter and its unusual appearance immediately caught his attention. Getting home he started researching this strange looking aircraft and the more he read the more impressed he was and it wasn't long before he became the proud owner of a Sycamore. Born in Bethal Anthony matriculated in Athlone Boys High and completed his National Service in 1963 and afterwards went farming in the Delmas district. An active sportsman he was awarded Springbok Colours for water ski racing in 1978. In 2011 he semi retired and now lives at the Fly-Inn Aero Estate between Kempton Park and Bapsfontein. In 19xx he heard that a Gyroplane Manufacturer in Spain was looking for a South African agent and he jumped at the opportunity and flew to Spain to visit the Factory where he flew the ELA. Anthony was impressed and he realized that the ELA would do well in SA and he was granted the agency that he still runs from his hangar at the Fly-Inn. Anthony currently has 2900 hours in his logbook of which 900 are on Trikes, the rest on Gyroplanes and he has done numerous safaris around the country. 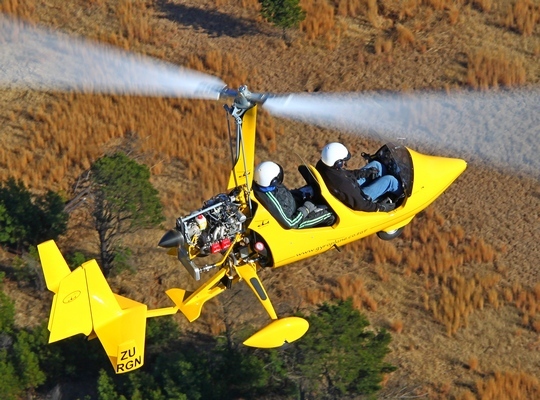 “I have come to realize what a wonderful adventure aircraft the gyro is. 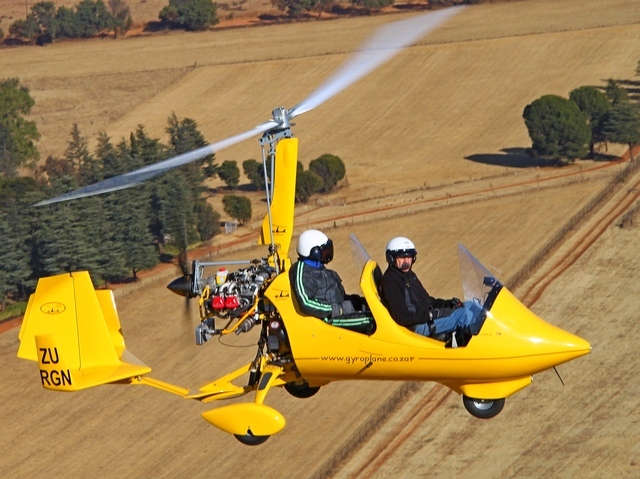 Anyone looking for an adventure aircraft that is safe to fly, cheap to maintain and that can handle turbulence need look no further than a gyroplane. Flying around the country with my friends has left me with unforgettable memories.” Anthony said. 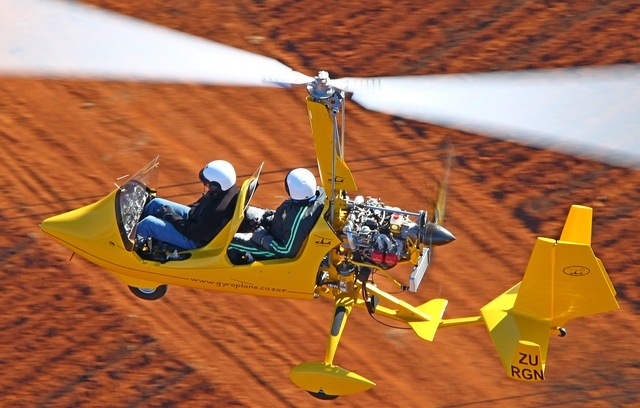 The history of the Gyroplane dates back to 23 January 1923 when Lieutenant Alejandro Gomez Spencer made the first flight in what even then was a rather unconventional flying machine invented by a fellow Spaniard, Mr. Juan de la Cierva. De la Cierva called his aircraft an “autogyro” and it was specifically designed to have extraordinary stalling capabilities and be extremely safe. De la Cierva died thirteen years later in a DC 3 crash in the same year when an offspring of his invention, the Helicopter saw the light of day. Ironically the rise in popularity of the helicopter that utilised patents belonging to the autogyro saw the autogyro fall into disuse. Fortunately there remained a core of enthusiast that revived De la Cierva's design and today more and more pilots are taking to flying these exhilarating aircraft. In Spain in a hanger at a private airfield some 60 Kilometres from Madrid Emilio Lopez Alemany , hence the name ELA, and his two sons, Emilio and Daniel followed in the footsteps of their countryman and designed and manufacture an almost unrecognizable variant of De la Cierva's invention. 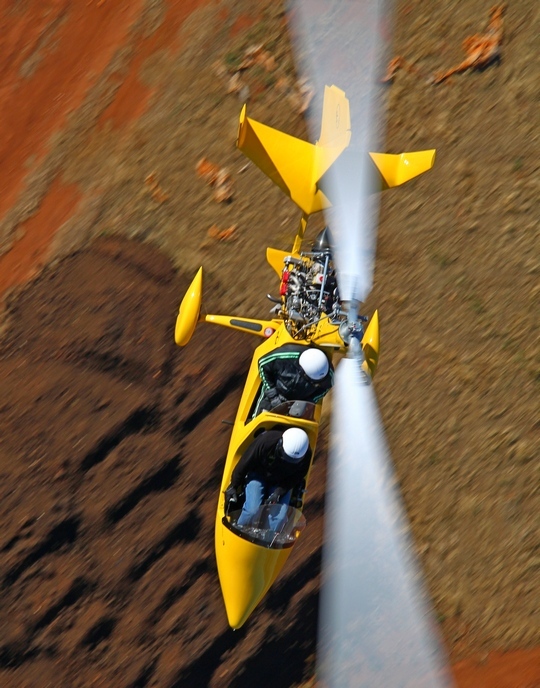 Their first autogyro, the 01 completed in 1992 was essentially a design study and it never took to the air. The next prototype, 02 took to the sky albeit minus engine and towed by car and that was followed by 03, powered by a Rotax 582 that flew in 1995. Four further models followed; the 04 with a Volkswagen engine, the fully enclosed cabin 05 with a Honda engine and the 06 with the same power plant as the 05 but with a semi enclosed cabin. In 2002 they returned to the Rotax engine in the 07 offering buyers the option of either the 912 ULS or the 914 Turbo. 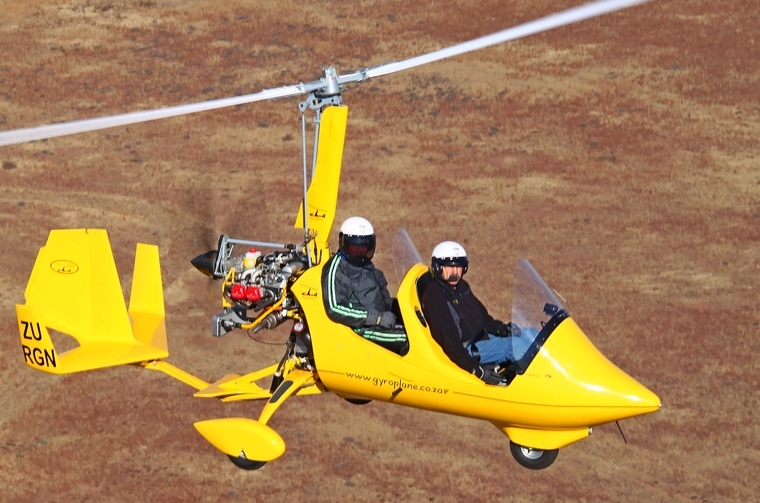 The Alemany's family newest creation is the Cougar R-115, a Gyroplane at the cutting edge of technology. The tandem seat Cougar's cabin is larger than that of its predecessor and its design deflects most of the airflow from cabin which is equipped with two windshields and it can be flown from both seats. Sixty litres of baggage can be carried inside the fuselage. Its stainless steel tubular main frame guarantees the absence of corrosion even under the most adverse conditions. The tail unit has been tested to speeds of up to 210 Km/hr whilst the rotor blade can withstand traction of 26,000 kg. Having flown with Anthony in the Cougar there is no doubt in my mind that De la Cierva would approve of the way his countryman had taken his original concept into the next centaury.